Tonight The Ellen Sinopoli Dance Company is celebrating it’s 25th Anniversary with a performance at The Egg. They are dancing highlights from a long and productive run as Resident Company at New York State’s flagship performing arts venue. Ellen, known for collaborating with artists and performers, will call them out from the stage as their piece is performed. Ellen collaborated with Jim Lewis of Springwood Studios (formerly Icarus Furniture) on her first full-evening suite, From The Mind/ Of A Single Long Vine/ One Thousand Opening Lives. It opened to a sellout audience in Spring 2002, and was performed at Albany Institute of History and Art in part when the carved pieces were selected for the Hudson Mohawk Regional that same year. The company will perform the second dance of the suite, Marriage Bench. We wanted to work together, and looked for a way to make that happen. 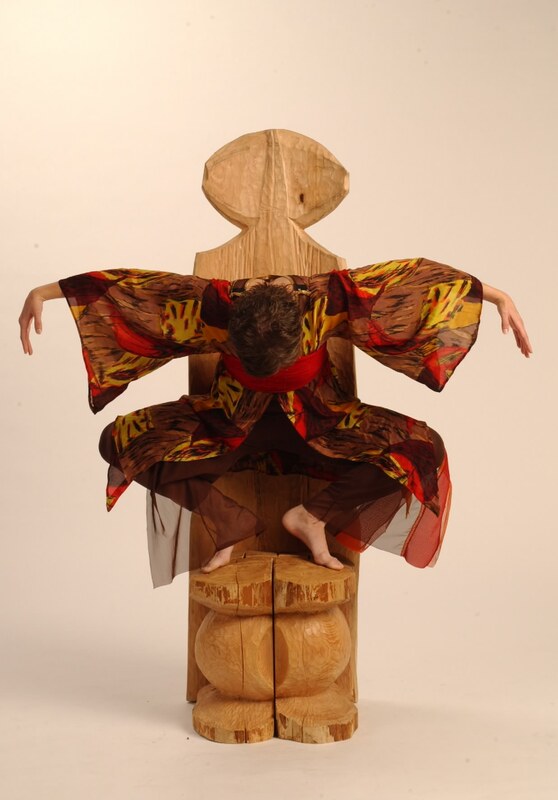 I showed Ellen a book about traditional African seats— sculptures every bit as primal and elegant as the best of Shinto design— and she told me how she saw them scattered across the stage, each telling its own story. It ended up being a tale about a village— a girl coming to age and setting off to see the world, followed by courtship and marriage (not hers) and family life. It follows a child playing, then tragedy. The village tears itself apart in chaos and grief, killing the child. A Shaman calls on the Gods to give them the tools to pull together, and after the healing the girl returns home and joins the ongoing live. The story is told on and around carved sets based on traditional African seats. Central to them all is the Marriage Bench, a two seater based on Nut, Egyptian Goddess of the sky. She is traditionally shown arching over the world, protecting it as she watches over all. While she nurtures the whole world instead of just two, there is a resonance with the protection of the she-wolf traditionally shown guarding Romulus and Remus, founders of Rome. After calling on Spirit, the Shaman assembles the Throne and calls for healing. 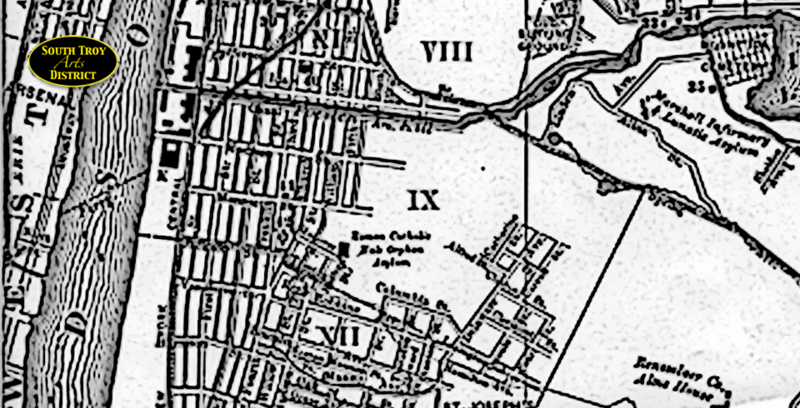 The little girl’s dead body had been carried out on a bier. Later it resurfaces as the back of the Shaman’s Throne, with a skull carved on the rear, called in as the Shaman petitions the Gods for healing. In the course of the dance, the throne is assembled from bits scattered around the stage, fragments of the tribe’s former happy times. It always brought goosebumps to my arms as Deb climbed atop the throne and called in Spirit— An extraordinarily powerful moment in an extremely potent performance. It takes a lot of work to re-mount a dance, especially as the original dancers leave the company. While parts of Vine have been performed many times (as one will be tonight), and been teh subhject of many dance classes through Arts In Education programs, the 75 minute suite has only been performed about six times in its entirety. As such, it is one of the most successful pieces in Ellen’s repertoire, and Jim’s all-time favorite project ever. Try to make it tonight— ALL the pieces and performances will be wonderful! Held annually at the Italian Community Center on 6th Ave S of Ferry. $15 now, $20 at the door, AND YOU GET TO KEEP THE BOWL! Click links for ticket info. Bowls hand thrown by local potters. Soups made by the finest Troy restaurants. What, you say? Of course Carmen’s will be there, with Sopa de Gallina and Veggie Flamenco. Coming Soon! Jim Lewis, of Springwood Studios, has been back in the studio, making furniture. Keep an eye peeled for the date, it will be a fun show. 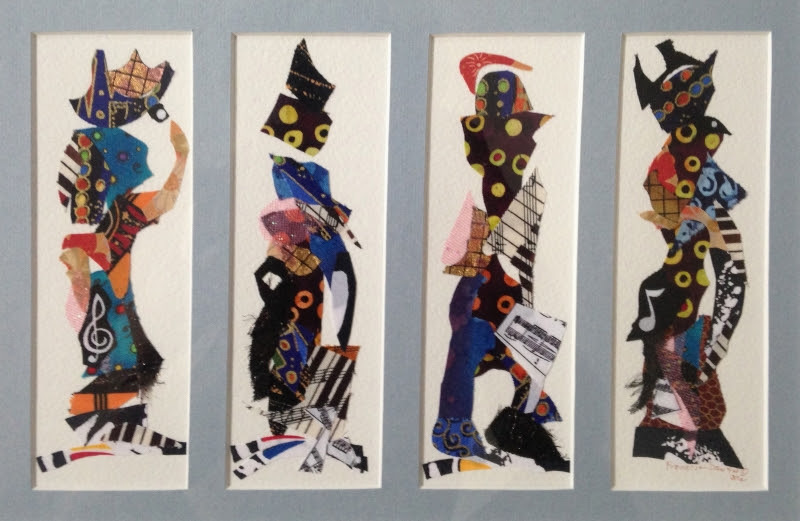 Fabric collages—so precise, so delicate, so detailed. When you buy art at Carmen’s, all proceeds go to the artist. We take no cut or commission. 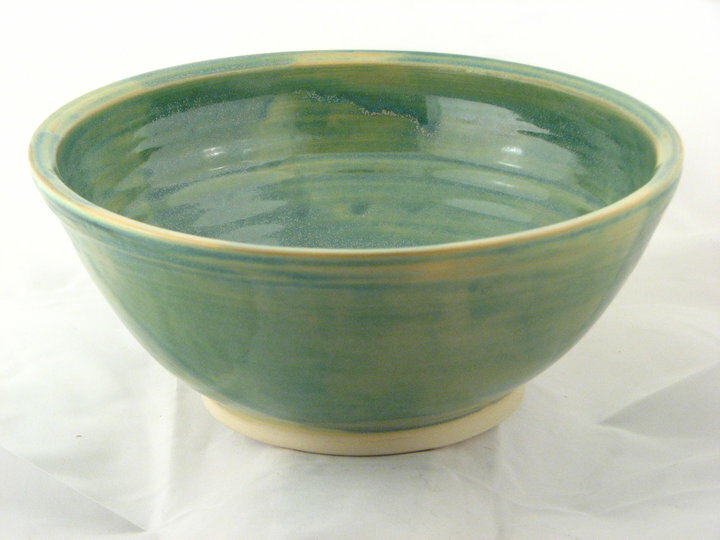 Troy has a long-standing history with pottery going back to the 18th century. The tradition continues — a new clay studio Monroe ClayWorks located at 10 Monroe Street, Troy, New York. Monroe Clay Works is a pottery teaching studio, firing center and regional gathering place for potters and sculptors. Everyone interested in clay work is welcome at Monroe Clay Works. Handbuilding and wheel throwing class sessions are ongoing. Private classes are also available. Monroe Clay Works has 8 potters wheels, a Brent slabroller, a NorthStar extruder and 4 electric kilns. In addition to the teaching studio there are monthly Second Saturday mini-workshop demonstrations and Firing Fridays (alternating month pit or raku firings) which are open to everyone for a nominal fee. 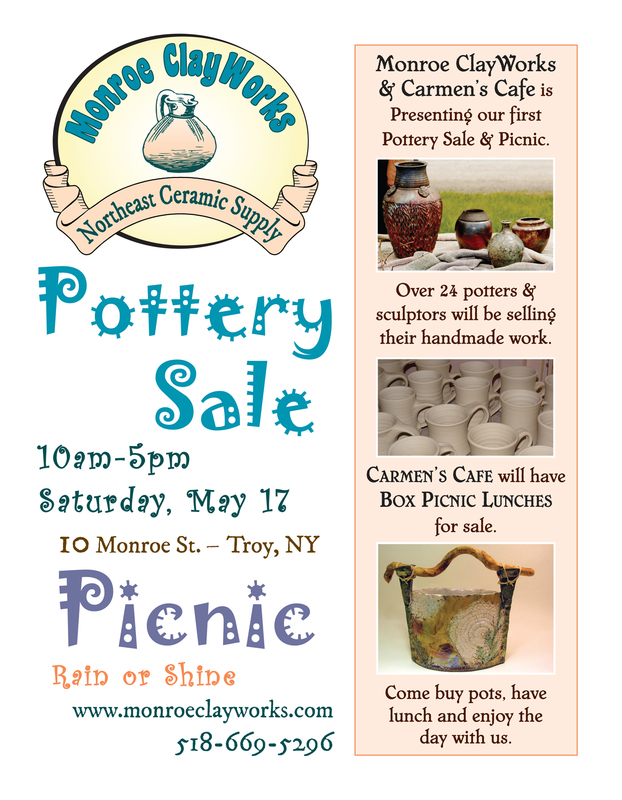 Monroe Clay Works also has three shows/sales per year which are scheduled in May, September and December. Membership at Monroe Clay Works is available on a monthly or on-going basis. Dining in the South Troy Arts District just got better! Carmen’s Cafe the South Troy Cuban restaurant will be expanding their schedule to include breakfast and lunch service on Wednesdays and Thursdays and Fridays. Carmen’s Cafe will also provide local delivery service. Here are the details. 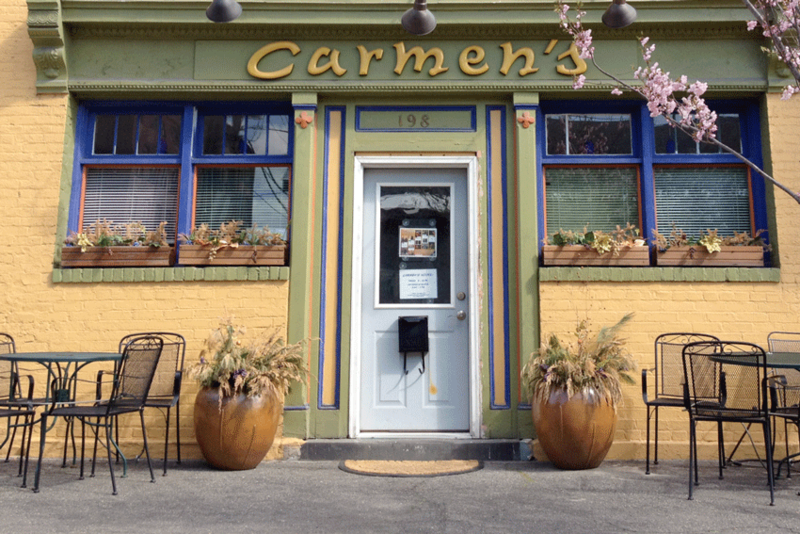 Carmen’s will be closed January 4th and 5th, and reopening next week, Jan. 11 & 12, and through the rest of January.